Professor Rodgers was appointed to Brunel University in 1989 as a lecturer in Physics, becoming a Reader in Mathematical Physics in 2001 and Professor of Theoretical Physics in 2003. In 2004 he joined the Brunel Graduate School and was appointed Pro-Vice-Chancellor for Research in 2008. He was promoted to Deputy Vice-Chancellor for Research in 2014. In 2016 his remit was extended to include overall responsibility for business partnerships, innovation and research support. He is a Fellow of the Institute of Physics and the Higher Education Academy. He is also a Visiting Professor at the University of Havana, Cuba. Between 2010 and 2014 he chaired the Research Excellence Group of London Higher, made up of the PVCs for Research of the universities in London. Professor Rodgers is a member of the HEFCE Research and Knowledge Exchange Committee and a member of the EPSRC Physical Sciences committee. Dr Rhona Anderson is a Senior Lecturer in Radiation Biology in the Department of Life Sciences and, a member of the Institute of Environment, Health and Societies, at Brunel University London. Rhona started her career as a clinical cytogeneticist in Glasgow in 1994 before developing her research in radiation biology at the Medical Research Council Radiation and Genome Stability Unit, Harwell (1996-2005), gaining her PhD in 2004 and joining Brunel University as a lecturer and group leader in 2005. Rhona’s research interests encompass understanding mechanisms of chromosome rearrangement and other cellular consequences after radiation exposure with a particular emphasis in the characterisation of complex chromosome aberrations as qualitative biomarkers of exposure to high-LET particle radiation. This work has relevance for addressing health-related questions concerning exposure to environmental (radon gas), occupational (nuclear) or medical (radionuclide) sources. 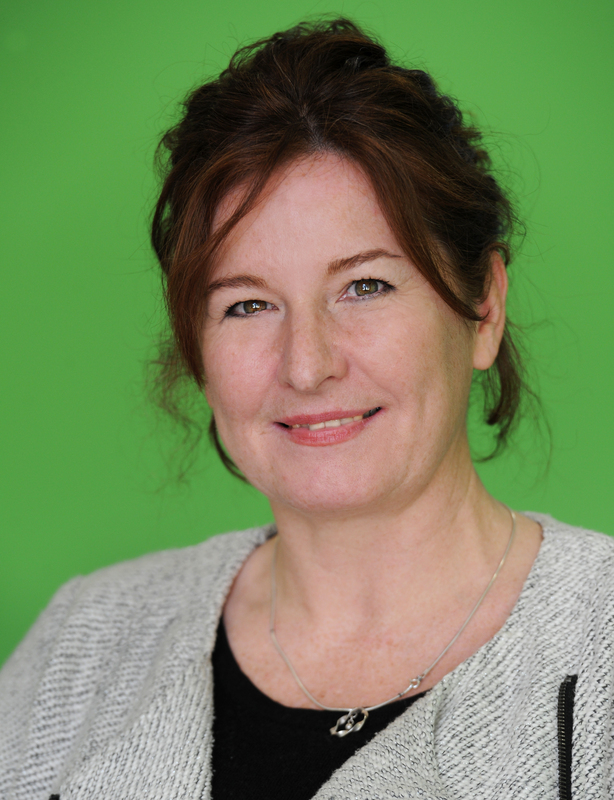 Rhona has led and managed a number of radiation protection projects (PI/Co-PI) (DOH RPR Grants) and is currently leading the NCCF-funded Genetics and Cytogenetics Study. She acted as an expert witness at cross-party parliamentary enquiry into ‘Health effects of Nuclear Test Veterans’ (2007), chaired the Association for Radiation Research (ARR), UK (2012-2014), is currently serving as the ARR Councillor of the International Association for Radiation Research and was appointed an Honorary Member of the Royal College of Radiologists (2017). She is or has been main or joint supervisor for 7 Ph.D. students. Senior Lecturer Brunel University London. Following post-doctoral research at the University of Sheffield and Royal Holloway, University of London, Amanda joined Brunel in 2006 to further develop her research interests in breast cancer. Her research focuses on cell signalling pathways and their roles in mediating tumour-like behaviour, as well as their contribution to therapeutic drug resistance. Current projects are investigating the roles of breast tumour kinase (Brk) in cell responses to chemo- and radio-therapy, understanding the mechanisms behind everolimus resistance, and the part that 1q genes/proteins such as ACBD3 and PI4K play in breast cancer cell biology. In addition, she has research interests in the potential of plant extracts as novel anti-tumour agents. Amanda has served on the Breast Cancer Campaign Scientific Advisory Board, the British Association for Cancer Research (BACR) Executive Committee and is now Treasurer of the BACR. She is also the Biosciences’ division lead. 1991: BSc. (Hons) degree in Zoology with Marine Zoology, Upper Second Class (2i) degree. Bangor University College of North Wales. 1994: PhD Environmental oestrogenic chemicals and their effects on sexual development in male rainbow trout (Oncorhynchus mykiss Walbaum) Susan Jobling completed my PhD at Brunel University (Department of Biological Sciences) in 1991 and remained at Brunel first as Postdoctoral Researcher (1995-1999) and then as a (tenured) Research Lecturer until 2002; after which she became a Senior Research Fellow (100% research tenured post). From 2004, she set up and directed a consultancy which advises governments and industries on the risks posed by environmental chemicals. In 2010 she was promoted to Professor. Christina Victor is Professor of Gerontology and Public Health and Vice Dean (Research) in the College of Health and Life Sciences at Brunel University, London. 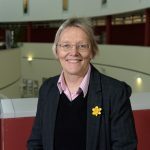 Her main research interests are focussed upon healthy ageing and she is a core member of the Brunel Initiative for Ageing Studies (BIAS) within the Institute of Environment, Health and Societies. More specifically her research interests include health and health inequalities in later life; evaluation of services for older people; loneliness and isolation; the benefits of exercise and activity in later life and the experiences of old age and later life amongst minority communities. Christina has published 13 books and over 200 papers in the fields of gerontology and public health and has a keen interest in promoting research and in research impact. Her initial work on loneliness funded by ESRC contributed to the development of the charity The Campaign to End Loneliness. She has published widely in the field of social gerontology and has provided numerous media interviews and expert briefings with policy makers, practitioners, politicians/ministers and older people on this subject. She is a Fellow of the Faculty of Public Health and Editor in Chief of Ageing and Society, the leading European based gerontology journal. Anne has worked at Brunel University London since 2002 where she has held several positions, including the management of a Specialist Research Institute and running a joint Engineering Doctoral Programme with the University of Surrey. Anne is currently the Institute Manager for the Institute of Environment, Health and Societies where she is responsible for providing administrative services to the six research themes within IEHS, these are: Ageing Studies, Biomedical Engineering, Environment and Health, Health Economics, Synthetic Biology and Welfare, Health and Wellbeing. Outside work Anne’s interests include the reform of primary and secondary education in the UK and promoting awareness of autistic spectrum disorders. Julie joined CHRC in September 2017 at the start of the project, but has been working for Brunel University London since September 1999, when she joined the Department of Information Systems and Computing (DISC) as an administrator for undergraduate final year projects. Whilst in DISC Julie studied part time with the Open University and was awarded BSc Hons in Computer Science in 2010. During her time at Brunel she has gained extensive knowledge and experience within the Higher Education sector and has progressed from DISC Research Manager to Senior Administrator for Brunel’s Research Institutes Central Support. During her role as Senior Administrator Julie has taken on several secondments which has allowed her to gain knowledge in a wide range of research areas and activities. Her most recent secondments were Project Manager for the EU funded EQUIPT project and Theme Manager for the Health Economics Research Group (HERG).